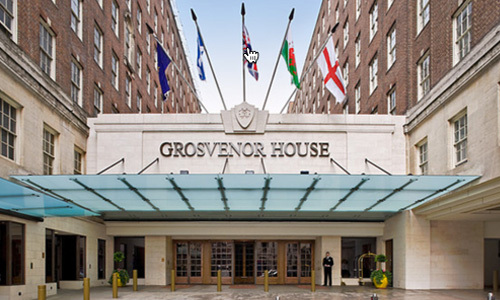 Fourteen IP are delighted to have secured the contract to supply a Mitel MiVoice Business telephony solution with Evolution Voice SIP Trunks to the world famous JW Marriott Grosvenor House, Park Lane. Grosvenor House, A JW Marriott Hotel raises the bar for luxury accommodation. Perfectly placed on world-famous Park Lane. This historic hotel allows for unparalleled access to a range of destinations in London’s vibrant Mayfair district, whilst its newly renovated guest suites and 5-star amenities ensure that guests have everything they need for a one-of-a-kind experience. With top-quality on-site restaurant options, a well-stocked fitness centre and the Park Room’s renowned afternoon tea experience, together with its first-class location in Mayfair’s Park Lane, the Grosvenor House offers 5-star luxury beyond compare. The new hotel telephony solution will be deployed throughout the 420 rooms, 74 suites and of course the world famous ballroom. Click here for more information about our on premises telephony solutions.